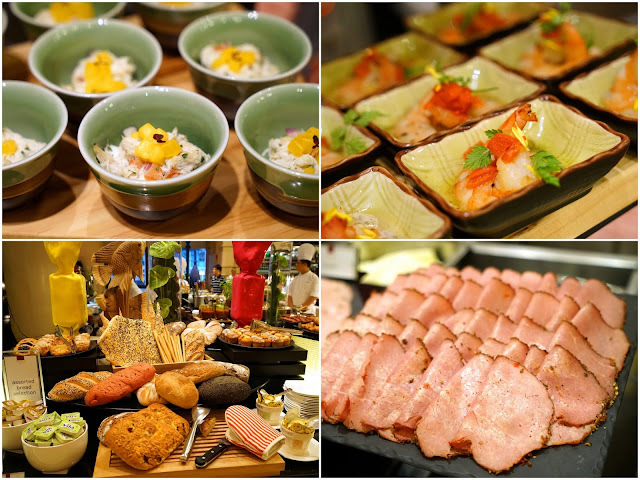 PinkyPiggu: Oscar's Supercharged Sunday Brunch Buffet @ Conrad Centennial Singapore ~ Unlimited Suckling Pig & London Roast Duck! Oscar's Supercharged Sunday Brunch Buffet @ Conrad Centennial Singapore ~ Unlimited Suckling Pig & London Roast Duck! For a true-blue foodie, the first thing that comes to mind when "Oscar" is mentioned will not be the annual Academy Awards which recognizes excellence in cinematic achievements, but the sumptuous buffet spread at Conrad Centennial Singapore's all-day dining restaurant. Sumptuous, definitely. 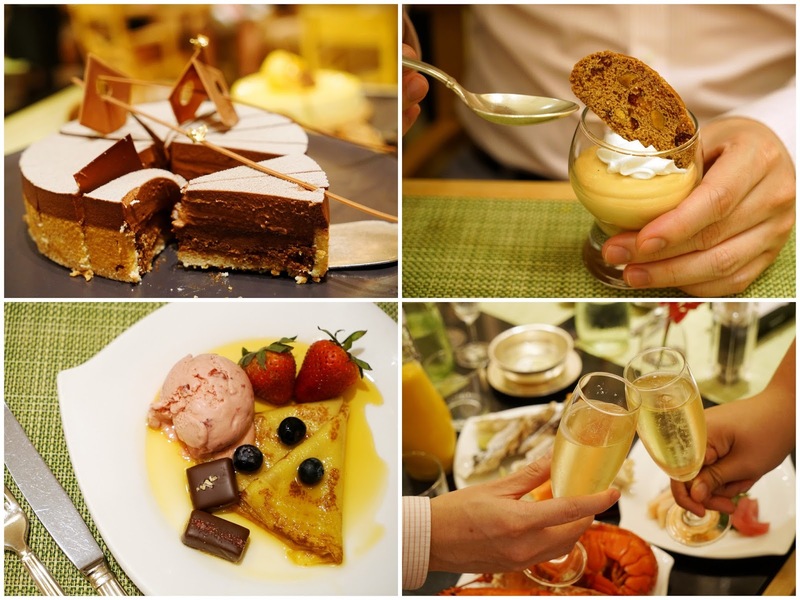 The newly-revamped Oscar has now upped the game by supercharging their Sunday brunch! 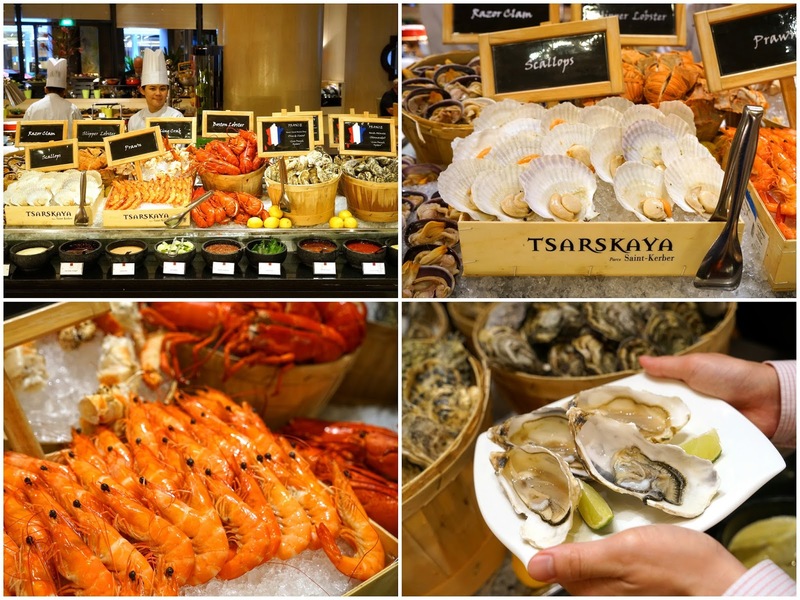 Expect an extended line-up of Freshest Seafood, Premium Suckling Pig & London Roast Duck, Live Cooking Stations, International Favorites featuring specially created Crab Recipes and a new 4-metre-long Salad Bar. Aptly-named, Oscar's Supercharged Sunday Brunch is indeed charging up Sunday afternoons with such indulgence! Upon stepping in, one's attention would be inevitably drawn to the vibrant colors of the Seafood Bar. Those Snow Crab Legs, Boston Lobsters, Cherrystone Clams, Sea Prawns and Chilean Half Shell Scallops suited my palate better. We thought the few Freshly-shucked Oysters which we had can be plumper though. Being in the midst of #pinkypiggu100daysofsalad challenge, I was all the more excited to check out the extensive Salad Bar. If you're wondering, no I'm not tired of eating salads yet haha. With over a variety of 30 Toppings including organic chia seeds, gluten-free mung bean chips and Arame wild seaweed, 8 Unique Homemade Dressings like blueberry, vanilla bean, champagne vinegar & yoghurt, and fresh tamarind & kumquat vinaigrette, and selection of 10 Chef's Creations such as quinoa with fava beans, roasted pumpkin, fresh mint & grapefruit and Vietnamese salad of sous-vide duck breast with fresh herbs, crushed peanuts & smoked hoisin sauce, one can be pretty sure to find something that suit your palate. Unless you don't like your greens. Okay, it was kind of embarrassing to admit but I actually went for another round of salad at the end of my meal after I had my desserts. Yes, it was that good. I had to put up with the quizzical stares as I made my way back to the table but I don't care. Lol! Healthy Blitz alert! It can be a case of blink and miss, so I shall highlight to you that Freshly-made Shakes can be found at the corner of the salad bar! Not just any shakes, but ones which features superfoods including chia seeds, fresh berries, mangoes, strawberries, Greek yoghurt and Jarrah honey. Health supplements such as Whey protein and Lucama powder are even added! Lest you start thinking when have this PinkyPiggu become so health conscious, the truth is that I wouldn't pass up the opportunity to have free-flow of Pan-Seared Foie Gras at the Live Station haha! Pity they were a tad overcooked though. But those Soft Poached Organic Eggs next to it, it was amazing! Served in a martini glass with cauliflower purée, sautéed spinach, foie gras & truffle oil espuma, espelette chili and Fleur de sel, the entire medley was truly a party of wondrous textures and flavors in the mouth. Organic Pastas, as well as a Noodle Bar featuring all-time local favorites such as Oscar's Laksa, Slow-cooked Beef Cheek Noodles, Slipper Lobster Noodles and even the Singaporean specialty "Bak Chor Mee" of minced pork and fishball dry noodles with vinegar and homemade chili paste, are also available and prepared fresh upon order. 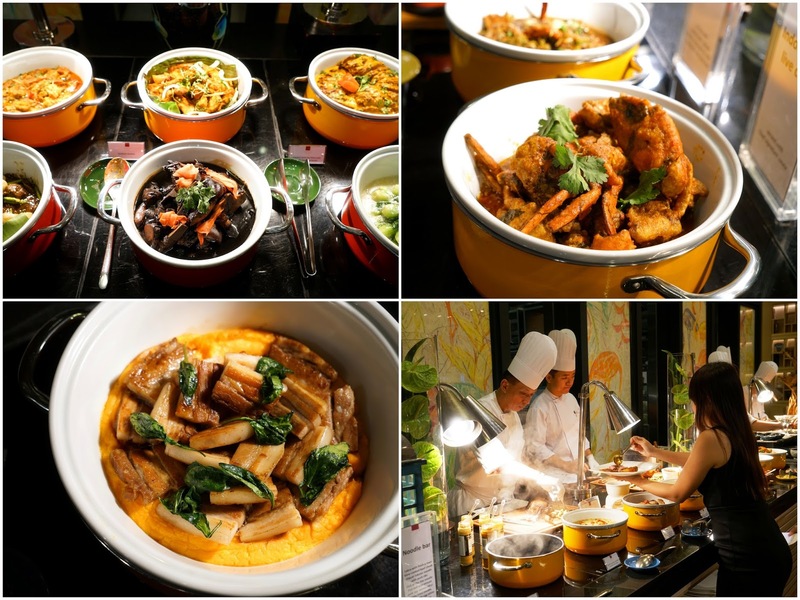 The weakest link in the buffet line-up could be the Asian & Western Hot Dishes section. Of the few items that we tried such as Pork Trotter with Black Vinegar, Live Indonesian Crab and Sous-vide Pork Belly, none really made any impression. My favoritest favorite (note the double emphasis) from this Oscar's Supercharged Sunday Brunch is from the Carving Stations, the Mauritian Suckling Pig! Oh what a delicious pig roasted to crispy skin and meaty juiciness and tenderness. It did not died in vain. 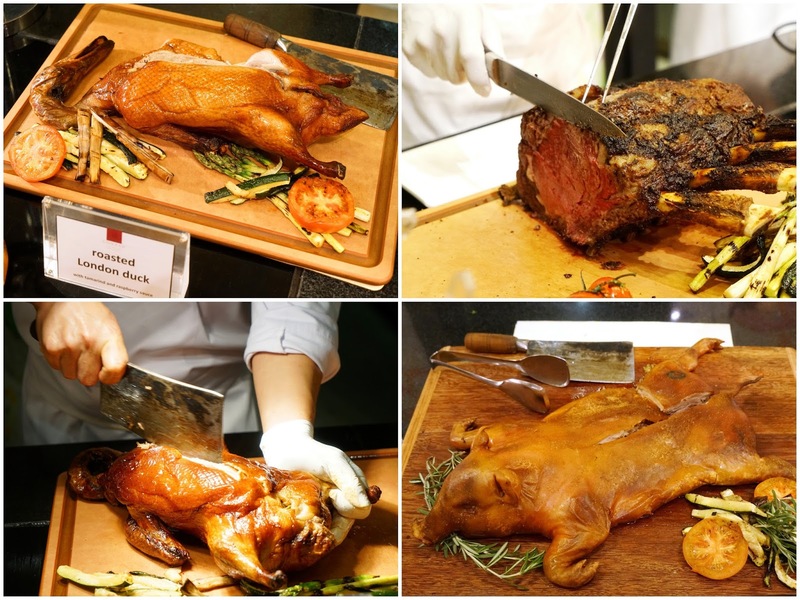 Oscar could possibly be the first in Singapore to have the famous London Roast Duck on a buffet line! The ducks were specially imported from farms in Ireland where each one is reared with extremely high farming standards, resulting in crispy skin with succulent meat when roasted. This is the station which had us going for multiple rounds. So goooooooooood! For Desserts, expect to end on a really sweet note with Liquid Nitrogen Ice Cream, Flambéed Crepes Suzette, Waffles with Organic Maple Syrup, as well as endless rows of treats such as Coconut Crunch & Lime Curd, Tofu & Green Tea Panna Cotta, and Cendol Gula Melaka Coconut Espuma. 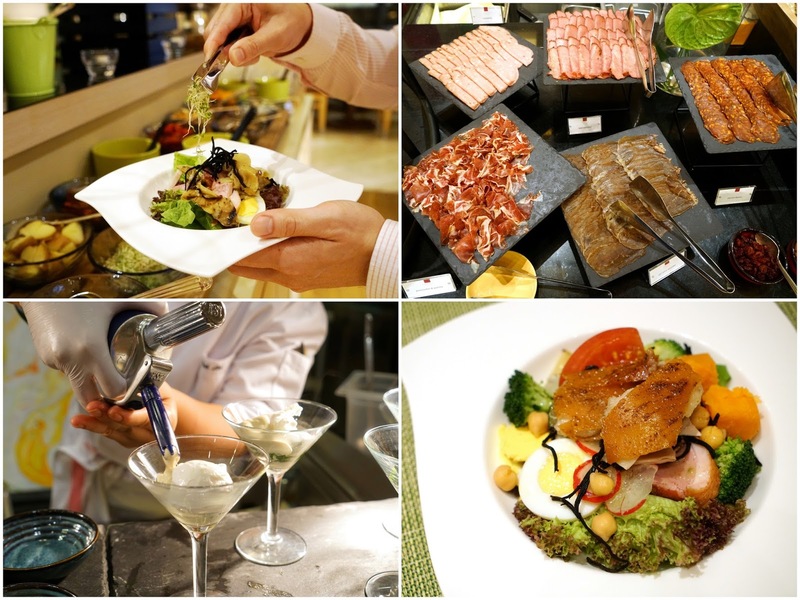 To bring the Sunday Brunch to even greater extravagance heights, diners can opt for a top-up and couple the buffet with bottomless rounds of Sparkling Wine, House Wines, Selected Cocktails, Laurent-Perrier Brut, NV Champagne! Woohoo! 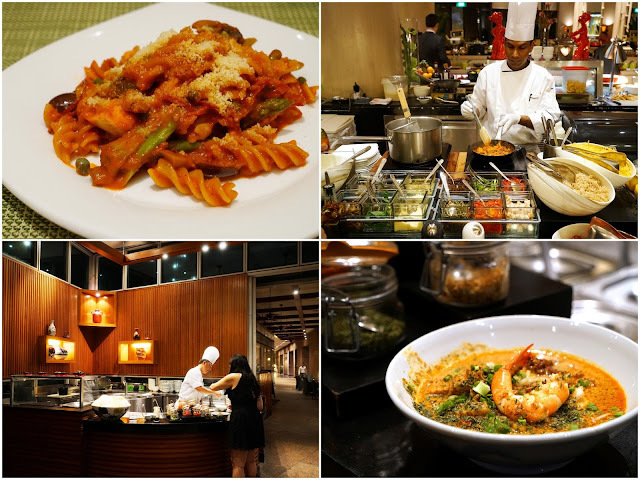 S$40++ per child (6 to 12 years old) / Children aged 5 years and below dine for free. I am in love with Oscar's Supercharged Sunday Brunch Buffet. Thanks a ton for sharing these photos here. I am also going to attend a grand Oscar themed bachelor party at lofty spaces. Truly very excited for this party!